Located on the popular tourist street. Previously, we used restaurant advertising on television and the Internet, with no result. The problem is that the restaurant is on the tourist street, and the majority of our customers are guests of the city. 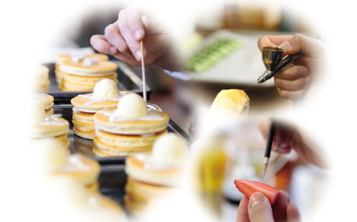 It is difficult for people who visit an unfamiliar city for the first time to go to an unknown restaurant. As a rule, tourists look for a familiar food-serving establishment like McDonald’s. Therefore, potential customers used to go past our restaurant. To inform passers-by about our cuisine and prices we decided to decorate restaurant windows with plastic food models. And we turned out to have made the right decision. We own two identical food-serving establishments. We purchased plastic food replicas for only one of them and immediately felt the difference. 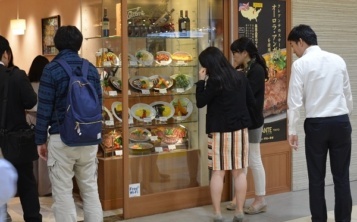 The number of visitors in the restaurant decorated with fake food dishes is 50% higher than in the other establishment. 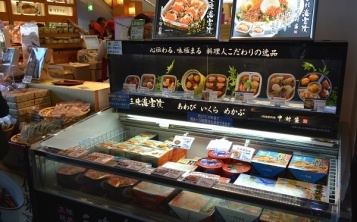 We are planning to order another set of plastic food items for the window in the other restaurant.